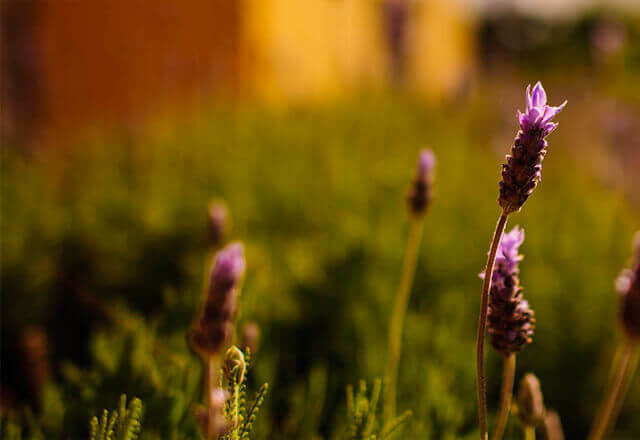 The essential oil of lavender adds a sweet and aromatic essence to balms, salves and lotions. The scent has calming, soothing properties. Lavender has soothing attributes in skin care products and is one of the most widely studied essential oils. Lavender (Lavandula angustifolia) was originally cultivated in the Mediterranean but now grows in Europe, Australia and the U.S. This fragrant plant was once used in baths to purify the body and spirit. Lavender is also used by culinary gurus to add flavor to food. Commercial production of lavender for the personal care industry is now mostly in France and Bulgaria.